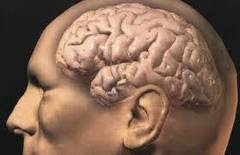 Study Looks at the Nature of Change in Our Aging, Changing Brains ~ Health Matters Today! As we get older, our cognitive abilities change, improving when we're younger and declining as we age. Scientists posit a hierarchical structure within which these abilities are organized. There's the "lowest" level -- measured by specific tests, such as story memory or word memory; the second level, which groups various skills involved in a category of cognitive ability, such as memory, perceptual speed, or reasoning; and finally, the "general," or G, factor, a sort of statistical aggregate of all the thinking abilities. What happens to this structure as we age? That was the question Timothy A. Salthouse, Brown-Forman professor of psychology at the University of Virginia, investigated in a new study appearing in an upcoming issue of Psychological Science, a journal published by the Association for Psychological Science. His findings advance psychologists' understanding of the complexities of the aging brain. "There are three hypotheses about how this works," says Salthouse. "One is that abilities become more strongly integrated with one another as we age." That theory suggests the general factor influences cognitive aging the most. The second -- based on the idea that connectivity among different brain regions lessens with age -- "is almost the opposite: that the changes in cognitive abilities become more rather than less independent with age." The third was Salthouse's hypothesis: The structure remains constant throughout the aging process. Using a sample of 1,490 healthy adults ages 18 to 89, Salthouse performed analyses of the scores on 16 tests of five cognitive abilities -- vocabulary, reasoning, spatial relations, memory, and perceptual speed. The primary analyses were on the changes in the test scores across an interval of about two and a half years. The findings confirmed Salthouse's hunch: "The effects of aging on memory, on reasoning, on spatial relations, and so on are not necessarily constant. But the structure within which these changes are occurring does not seem to change as a function of age." In normal, healthy people, "the direction and magnitude of change may be different" when we're 18 or 88, he says. "But it appears that the qualitative nature of cognitive change remains the same throughout adulthood." The study could inform other research investigating "what allows some people to age more gracefully than others," says Salthouse. That is, do people who stay mentally sharper maintain their ability structures better than those who become more forgetful or less agile at reasoning? And in the future, applying what we know about the structures of change could enhance "interventions that we think will improve cognitive functioning" at any age or stage of life.